I’ll try almost any recipe that has “balsamic” in the name. Balsamic vinegar is like this magical elixir that dials up the flavor of anything it touches. I’ll never forget the first time I tried strawberries with balsamic vinegar – how in the world did it make them so sweet? 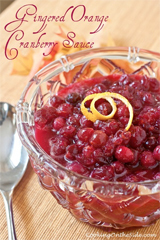 And, of course, you can’t beat the mouthwatering tang it brings to vinaigrettes and marinades. It hadn’t occurred to me to try balsamic vinegar on potatoes until I saw the suggestion on a mesh bag of potatoes. I found some pretty colorful fingerlings at Whole Foods and thought the balsamic approach might be a great way to punch up the flavor of this otherwise rather waxy variety. Using vinegar also allowed me to cut back a little on the salt without sacrificing flavor. Well, the balsamic roasted fingerlings were fantastic. The vinegar gave the potatoes just the slightest bit of tanginess, while the olive oil made them nice and crisp. There wasn’t much flavor difference among the different color potatoes, but they were definitely pretty to look at. This was one of our Easter side dishes this year and everyone loved them (my daughter especially enjoyed the purple ones. :-)). Inspired by the Roasted Balsamic Potatoes, Onions and Broccoli recipe on a bag of baby potatoes. Mmm, simple and delicious, love this! Yum, I love potatoes. Is it okay to dip them, too? If it is, what dip flavor would you recommend? Thanks! They’re pretty great on their own, but if I were to dip them I might go for something with a creamy-tangy base like sour cream or yogurt. How gorgeous are these potatoes Kathy?! Yum 🙂 Have a great Thursday! Love this Kathy, I agree the balsamic is a great idea! I love balsamic vinegar on roasted vegetables, and these balsamic roasted potatoes look fantastic! Wow, these look amazing! I love anything with balsamic! Yes of course. This will do the trick. 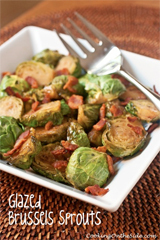 Reduce the balsamic down to make a syrup, and it’s also great on roasted potatoes and brussels sprouts. These are just beautiful potatoes!! These turned out just gorgeous with the different colors, Kathy! I love balsamic. I’ve been on a kick lately and have been getting all kinds of flavored ones. I gotta try this recipe. Sounds perfect! I make stovetop roasted fingerlings, and I will definitely add some balsamic to them next time I make them! Thanks! I can honestly say that I never met a potato I didn’t like. I don’t think I’ve ever had balsamic vinegar on them, but I’m about to get in the kitchen and give this recipe a try! Yum! Those potatoes look perfectly roasted. I’m a big balsamic fan myself, so I’ll be trying this soon. Thanks for sharing! 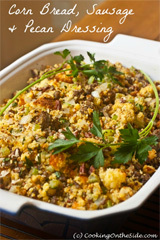 This receipe looks delicious . It does not say how to make the potatoes into fingerlings. Do you think this would also be good with sweet pototoe fries? How about sweet pototoes just by them selves? Fingerling potatoes are actually a specific type of potato. I’ve never tried sweet potatoes with balsamic vinegar but they’re already so sweet on their own I imagine they’d probably be better without it. The balsamic does add great flavor to an otherwise rather neutral-flavored potato like the fingerling. Sweet potato fries with balsamic dressing is A.MA.ZING!!!!!! I haven’t tried sweet potatoes with balsamic, but I’d love to! I made these yesterday – they were really good ! I agree that recipe involving balsamic vinegar has to be amazing. Thanks for the recipe. 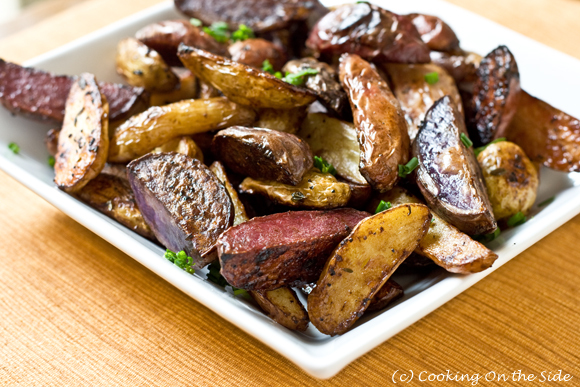 Made these for New Year’s Eve last night with mixed fingerlings (purple, red, gold) and found that the purple potatoes definitely showed off the flavor of the balsamic marinade better than the lighter-colored potatoes did. The others just paled in flavor information comparison, and even tasted a bit strange. 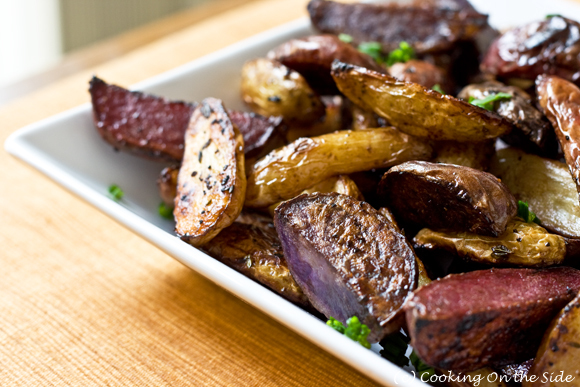 The next time I make balsamic potatoes, I’ll use purple fingerlings only. Also, I found them lacking slightly in salt, but I do like things highly seasomed so perhaps this is a personal preference. I also aded a bit of chopped dried rosemary, sage, and some roughly chopped fresh garlic to the mix. They were delicious, and cutting them a bit smaller and/or increasing oven temp to 450° will lessen the cooking time if you’re in a rush. Just don’t forget to stir them every 10-15m so they don’t burn! Previous post: Friendship Bread ~ Novel Review & Giveaway!